Virginia authorities have charged a man who registered voters for a liberal political advocacy group with voter registration fraud, saying he filed false applications for people who do not exist. 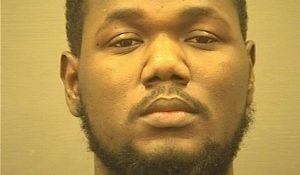 Vafalay Massaquoi, 30, is accused of inventing applicants and forging voter registration forms that were filed with the Alexandria Office of the General Registrar. He’s charged with two felony counts of forging a public record and two felony counts of voter registration fraud. An Alexandria Police Department spokeswoman said Mr. Massaquoi worked for New Virginia Majority, a progressive nonprofit that works with people of color, women, youth and gay communities. Officials with New Virginia Majority did not respond to requests for comment Friday. Authorities did not say how many false voter registration applications were filed. Commonwealth’s Attorney Bryan L. Porter said no votes were cast using the fraudulent registrations. Anna Leider, General Registrar for the City of Alexandria, declined to say how the false applications were detected but said that a “group” of questionable applications were turned over to the Commonwealth Attorney’s Office for investigation. New Virginia Majority has in recent months played a roll in reaching out to convicted felons to advise them their right to vote can now be restored in Virginia. Gov. Terry McAuliffe has taken steps to restore voting rights to felons who have completed there sentences.